Are you someone who likes to switch it up when it comes to nose pins? But do you get confused over what is trending? Browse our sapphire nose pin designs and you will certainly find something that catches your fancy. Our irresistible sapphire nose pin designs are sure to have you longing for more. So go buy our sapphire nose pins online from us now and tell us how you feel about it! And what’s not to love about the sapphire stone? It is a commonly-believed fact that the sapphires help to promote a positive attitude towards life in general, a better drive and motivation and can supposedly bring on good fortune and wealth. If you are a believer in the power of gemstones, then a sapphire stone can be the right way to go. Not only is the colour blue electric and mystifying in its physical form, the sapphire stone is also known to have miraculous effects on general health and wellbeing. And none of this is new information. The powers of the sapphire stone date back to the eighth century BC. Ancient man once believed that sapphire stones could heal a hot fever, a bad gash, and even a tummy problem! Who knew? So go grab these beauties as soon as you can. Our sapphire nose pins are priced reasonable and they are just what you want now! 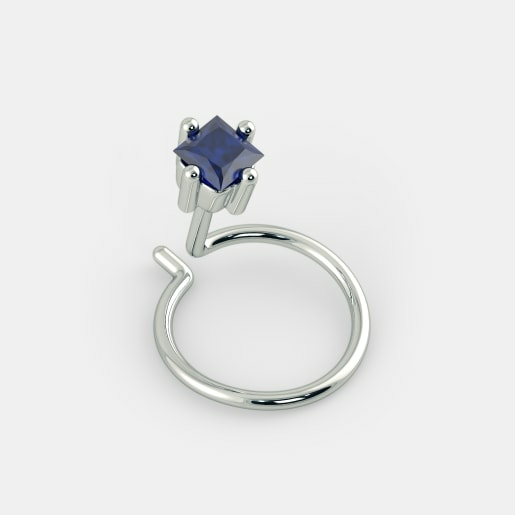 For something basic and standard, our blue sapphire nose pin ought to do it. It has got a single blue sapphire with an 18kt white gold band that will hold it in place. The Jasmine Nose Pin is a classic piece to own from this collection. You can wear it every day and it promises to not over shadow your other pieces of jewellery but only accentuate it. 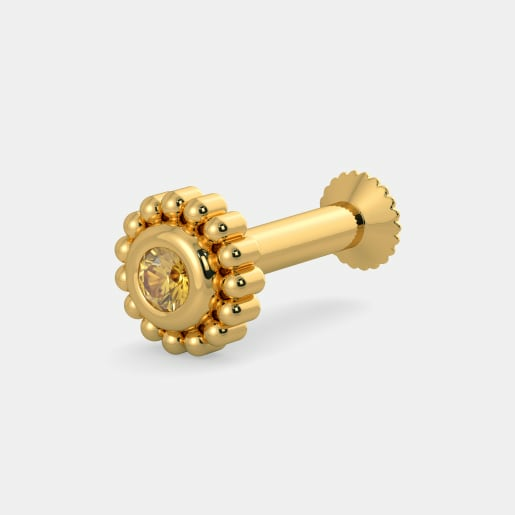 If you are not comfortable with a nose pin design, the same stone comes in a nose screw option as well. For the girl in you, would you like a shade of pink? 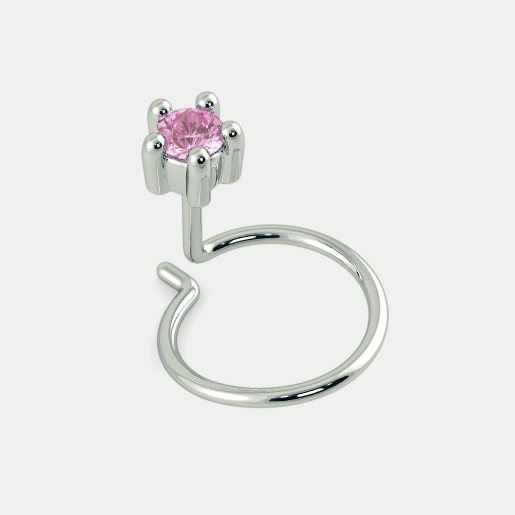 Our Peony Nose Pin with a pink sapphire and an 18kt white gold band is the perfect choice. It is simple, flirty and elegant. This speck of pink sapphire will be a pleasant touch to shades of pastels on your outfit of the day. Press it on for a little pick me up! The Peony Nose Pink is also available in a nose screw form, if that is what you are more comfortable with! Our most stylish and grand design in this range of sapphire nose pin designs is the Peony Nose Pin. 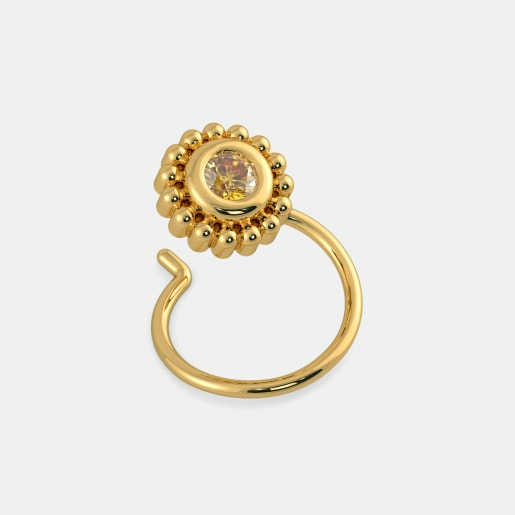 Here, a yellow sapphire nose pin encased in a flower shaped 18kt gold band is a charming little piece to accompany an Indian outfit. This one too, comes in a nose screw design. This design does pack some punches. 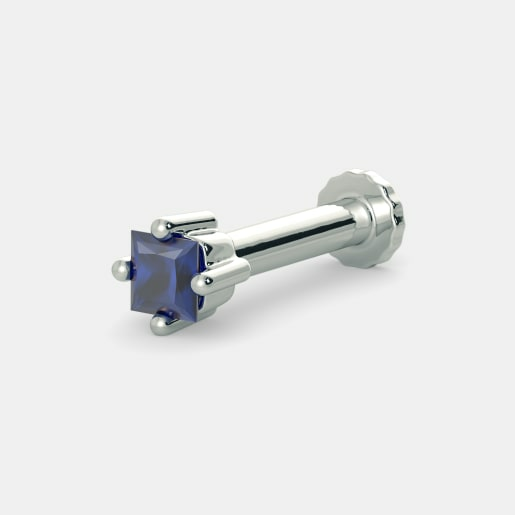 But to be fully convinced, visit our website and buy a sapphire nose pin design online right away. You cannot go wrong with any of these beauties. We also offer unique services like home trials and more. We also run deals and offers on selected pieces. In addition to the offers, we have kept our sapphire nose pins prices as competitive as it can get. Yes, now you can own your favourite piece of jewellery without bleeding your pocket. So what are you waiting for? Grab you piece right away.